This date range is probably for a loved one of the wearer, perhaps a parent or grandparent. 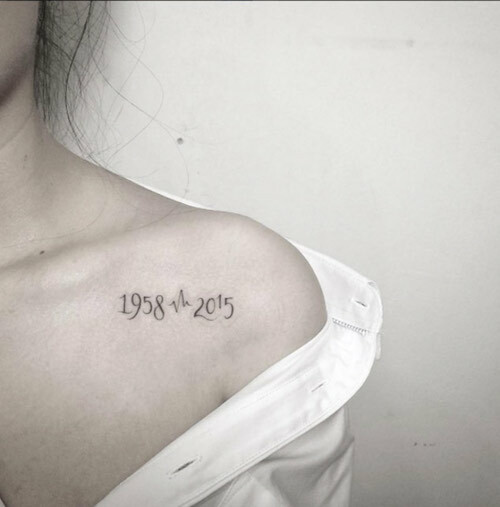 From the thinness of the style of font ot the placement just under the collarbone, this is a wonderful example of an elegant memorial tattoo. 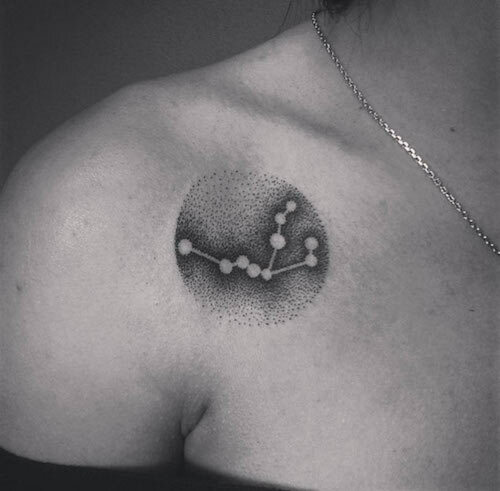 Constellations are a wonderful subject to get tattooed when you’re going for elegant. 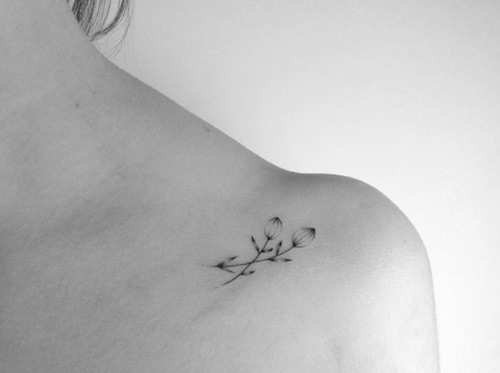 Floral tattoos abound in elegance and femininity. 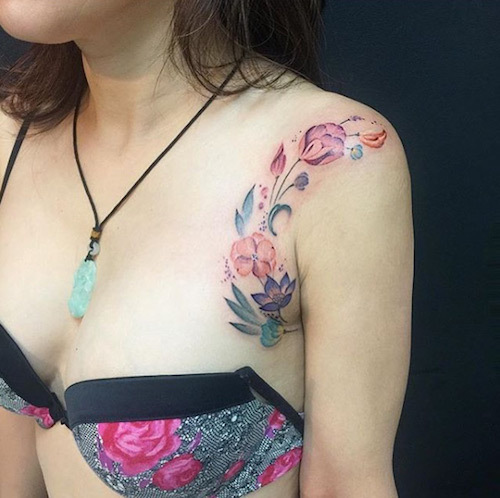 This floral tattoo is quite unique in its placement. 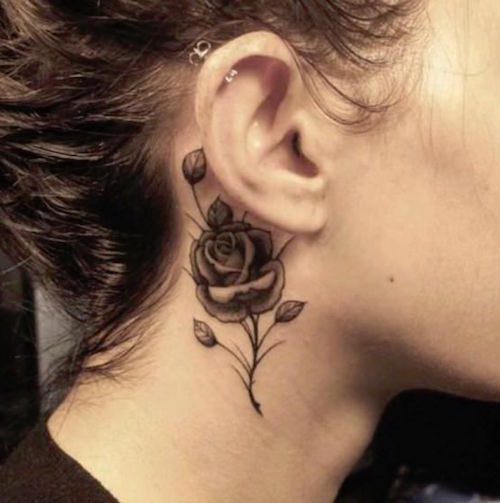 A tiny black and gray rose behind and below the ear looks quite lovely on this tattoo enthusiast. 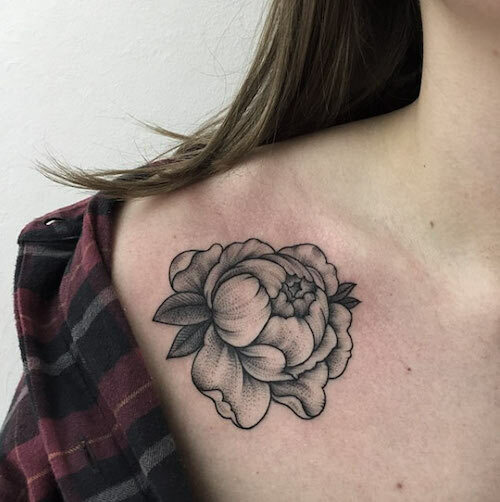 Done in an elegant dotted style, the shading on this lovely floral tattoo, again just under the collarbone, as quiet elegance to it. 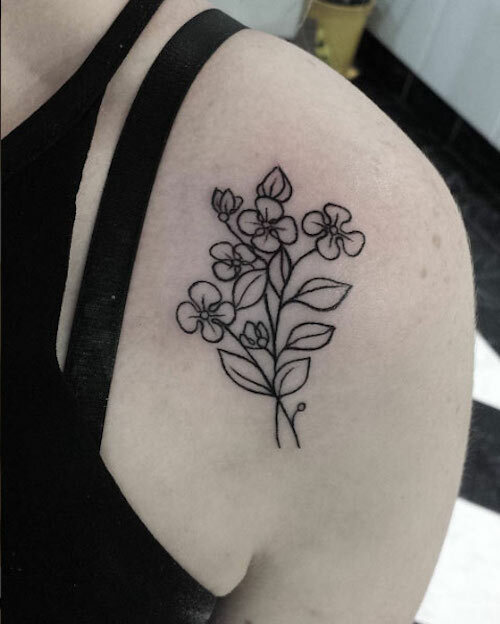 This small bundle of flowers is done only in line, and quite lovely. 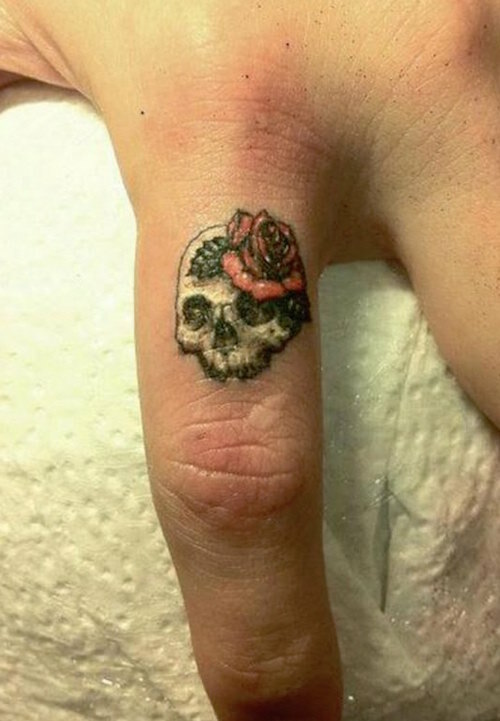 For when you still want the edge of a skull tattoo but also want to stay elegant, this tiny skull tattoo with a flower is perfect. 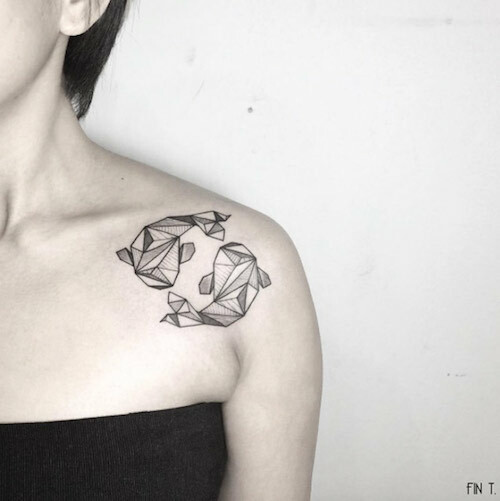 This might be the most elegant Pisces tattoo that exists! 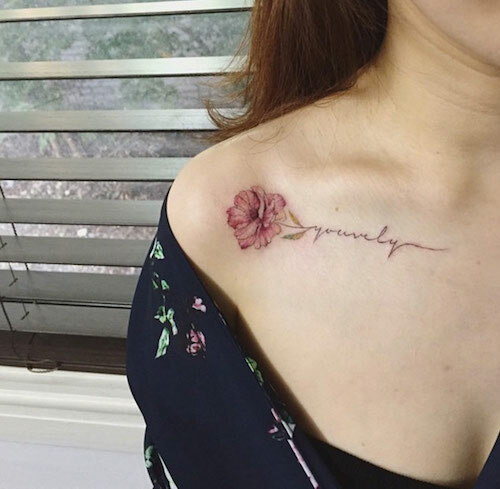 The word “Love” in pretty script, on the very side between the ribs and the hips, is perfectly elegant. 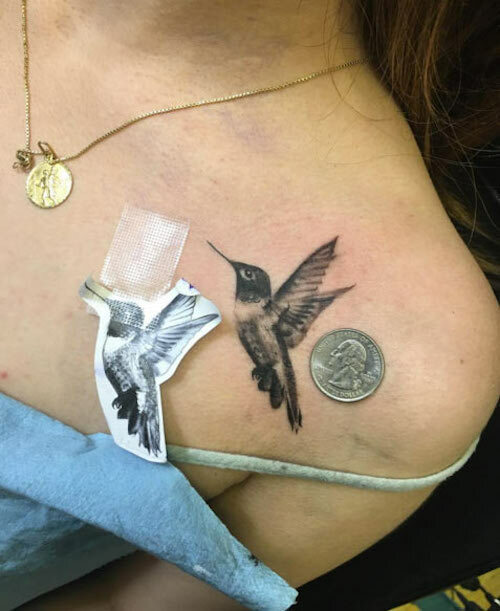 A tiny realistic hummingbird is both whimsical and elegant. 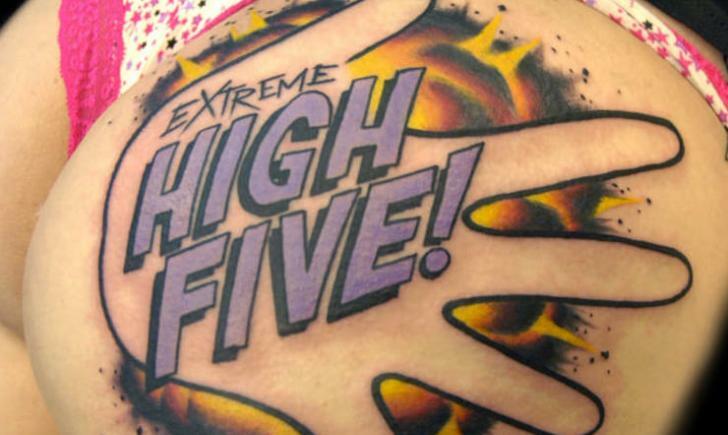 Here we have 2 elegant tattoo ideas in one! 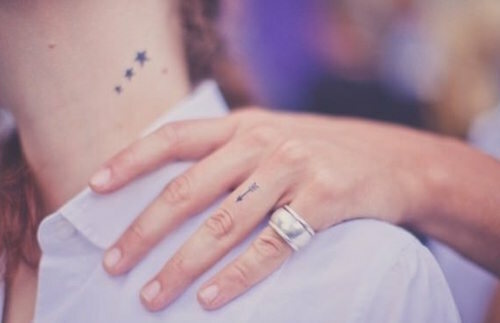 First, we have the small stars along the neck of the girl, and then a tiny arrow on the finger of her companion. 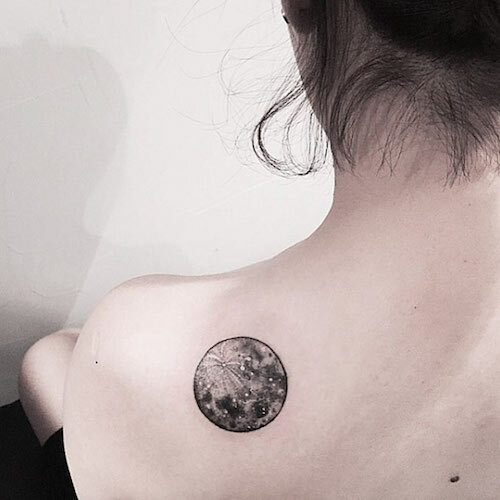 The moon is always feminine and elegant. 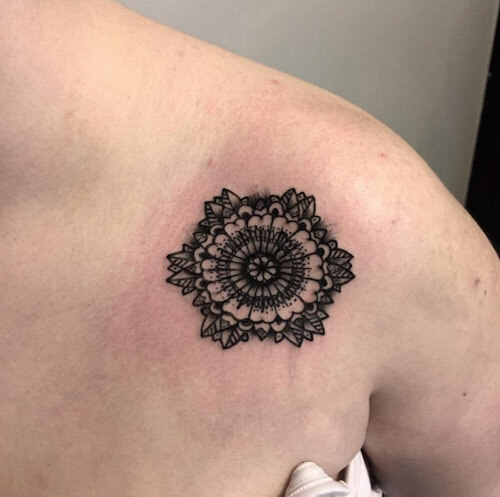 A tiny mandala with dainty details is very elegant. 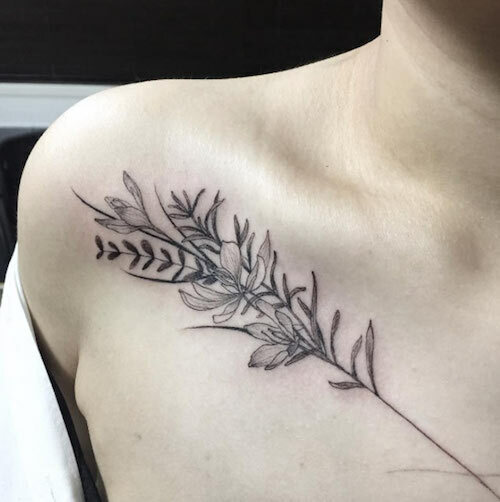 A whispy group of flowers lays across this wearer’s chest just under the collarbone. Look at these tiny flowers! 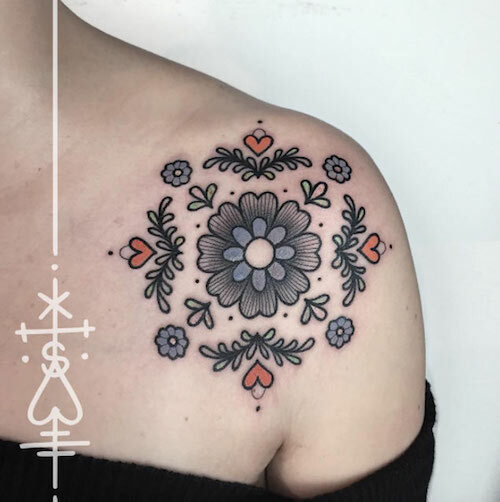 Such a pretty design for the shoulder, don’t you think! 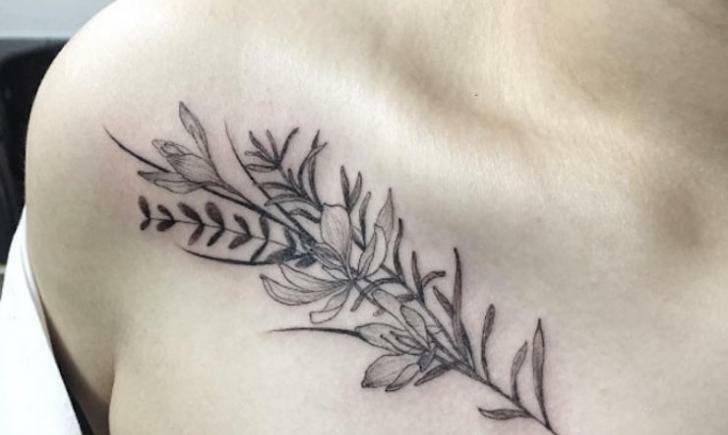 A flower’s stem turns into a name along this wearer’s collarbone. 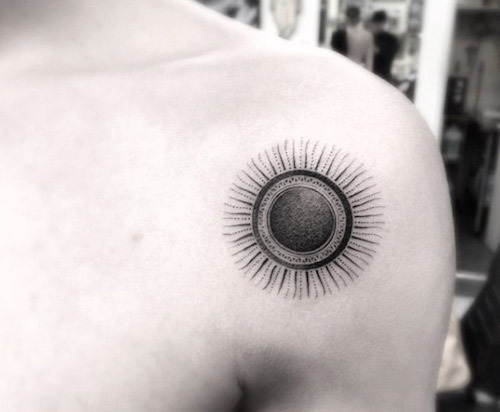 Look at this elegant sun. 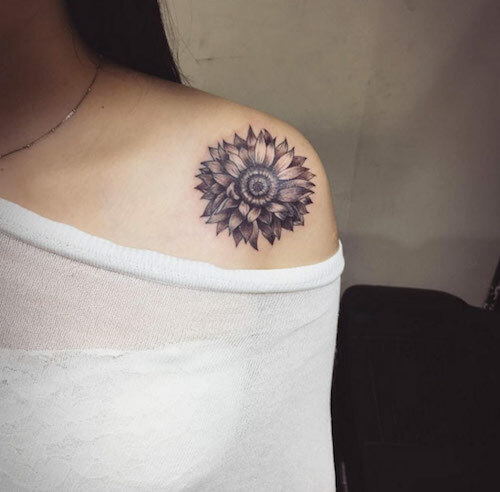 Here we have an elegant sunflower that accentuates the shoulder of the wearer. 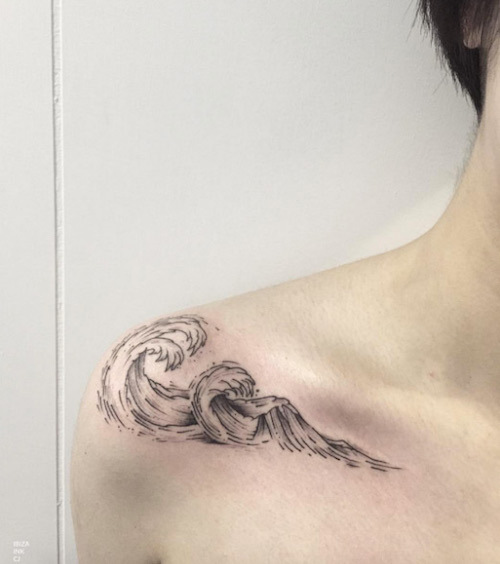 A lovely tiny wave accesntuates this wearer’s shoulder and collarbone.